After adding the juices to the blender the restaurant does a “flash blend.” That means you use just a couple of pulses on high speed so that the ice is broken up into small pieces, without being completely crushed to a slushy consistency. 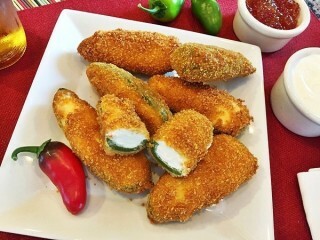 Menu Description: "Full-flavored jalapenos stuffed with cool cream cheese and deep-fried in a cracker-crumb coating. Served with sweet jalapeno jelly & sour cream." Red Robin was one of the first restaurant chains to serve No-Fire Peppers, an item which can be found on many restaurant menus today under a variety of different names. The cream cheese-filled, battered and fried jalapeno peppers are called "Poppers" by their creators at Anchor Foods, a restaurant food supply company which manufactures Poppers and a variety of other appetizers for sale to restaurant chains everywhere. According to Restaurant and Institutions magazine, Poppers were the #1 food item added to restaurant menus in 1995, with restaurants purchasing over 700 million of the little suckers. It's important when you make these that you allow time for them to freeze. 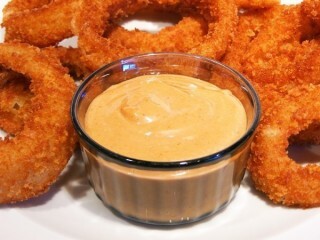 The freezing stage in this Red Robin jalapeno coins recipe ensures that the breading stays on when the peppers are fried and prevents the cream cheese from oozing out too soon. Menu Description: "Breast of chicken basted with BBQ sauce & topped with Cheddar cheese, tomato, fresh avocado, and black beans. Served with Ranch dressing & garlic cheese bread." In 1969, Gerald Kingen bought a beat-up 30-year old bar called Red Robin in Seattle across the road from the University of Washington. The pub did a booming business with the college and local crowd, but in 1973 building officials gave their opinion of the bar: either fix it up or shut it down. Jerry not only fixed up the 1200-square-foot building, but also expanded it to three times its old size, and added a kitchen to start making food. Red Robin soon became popular for its wide selection of gourmet burgers in addition to the designer cocktails. Jerry says wanted to create a chain of restaurants that would be recoginized as "the adult McDonald's and poor man's Trader Vic's." Whip up clones for the top-selling smoothies from one of America's favorite full-service burger joints. 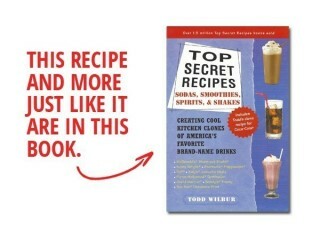 Included in this recipe are secret formulas for the seasonal Chillin' Mango Smoothie, and the always popular Groovy Smoothie. Give yourself some time to make a tough decision when you get to this casual chain because there are nearly two dozen gourmet burgers on the Red Robin menu to pick from, not to mention scores of other fantastic food choices. Red Robin claims the steak fries served with your burger are world-famous. I'm not sure if that's been confirmed, but I do know one thing that makes the fries popular in my book: they come in an all-you-can-eat bottomless portion. Want more fries? Just ask, and you can have as many as your belly can handle. As you're stuffing yourself, you may notice that the burgers and French fries at Red Robin have something in common that makes them taste so special. That's right, it's the seasoning blend. And I've got a clone for you right here that includes instant tomato soup mix as the secret ingredient. 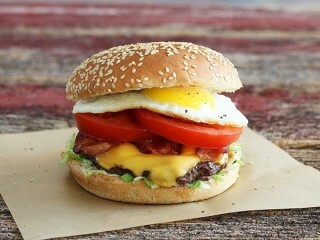 So, next time you make a burger, sprinkle some of this TSR version of the seasoning blend on the patty. When you cook up some frozen steak fries or French fries, sprinkle a little of this blend on them as soon as they come out of the oven or fryer. Soon, you'll discover all sorts of uses for this versatile spice blend. And the recipe here makes a portion that fits nicely into an empty spice bottle. More like dessert than a cocktail, really. You won't hear me complain. This is Red Robin’s signature non-alcoholic drink, and it's simple to make with pre-made lemonade, and strawberries that come frozen in sweet syrup. 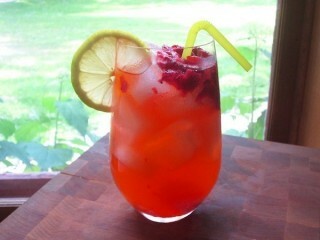 When added to the top of the ice filled lemonade glass the strawberries and syrup speckle the drink. Serve this without stirring it up. Menu Description: "Crank up the heat with Pepper-Jack cheese, jalapenos, fresh tangy salsa, sliced tomato, crisp lettuce and chipotle mayo." According to Red Robin waiters, this spicy production is the second most popular choice from a list of 22 delicious designer burgers on the menu. 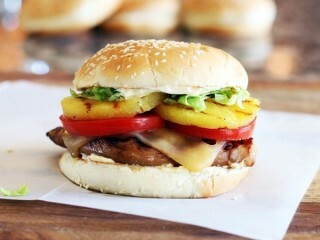 If you like a peppery punch from your chow, this is the burger recipe to add to your grill-time repertoire. The hamburger patties on Red Robin burgers are huge, weighing in at 1/3 of a pound each, so get out your kitchen scale if you want a good clone. 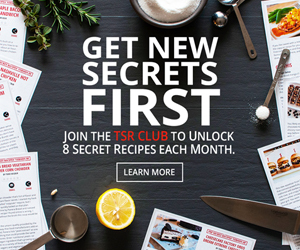 The restaurant chain seasons each patty with its secret spice blend, so whip that up first from the clone recipe found here. Or you can use seasoned salt such as Lawry's. Fresh salsa or pico de gallo can usually be found in the deli section at the supermarket, and ground chipotle chile pepper (smoked red jalapenos) can be found next to the chili powder in the spice aisle. It's good stuff to have on hand in your spice cabinet—it's a popular ingredient these days.